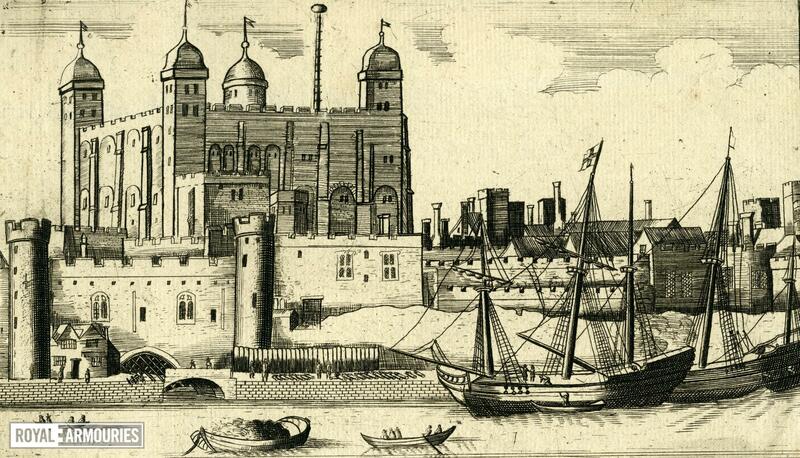 View of the Tower of London, from the river. 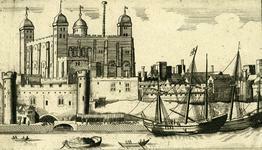 Derived from the Hollar print of 1647, with less of the river foreground and less of the wall to the west of Traitors Gate. Flag pole inserted on the White Tower.